Representative John Reilly was first elected to the Michigan House of Representatives in November 2016 and represents residents of northern Oakland County including Oxford, Orion, Oakland, Addison, and Brandon townships. 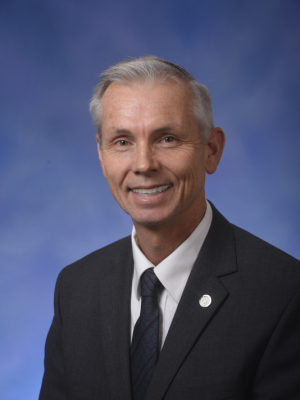 Representative Reilly is Vice Chairman of the Financial Liability Reform Committee and has been a leading voice in resolving Michigan's long-term debt problem and preventing financial disasters such as have befallen Illinois. Rep. Reilly is also Vice Chairman of the Joint Committee on Administrative Rules, which is the Legislature's oversight committee on impending regulations issued by executive agencies. He also serves on the committees on Energy, Education, and Regulatory Reform. Rep. Reilly worked for 20 years in automotive test engineering before starting his own home service business, Log Cabin Handyman, which he has owned and operated for the past 12 years. Rep. Reilly has been married to his wife, Karen, for 31 years. Their four adult children are: Katie, Renae, Hillary and Thomas. They have two grandchildren. Rep. Reilly enjoys outdoor activities, including backpacking, camping, hunting, and fishing while living on God’s creation. MIRS News, a daily publication focused on the actions of Michigan state government, has named Representative John Reilly (R-Oakland) as among the most conservative members of the House Republican caucus. Out of 63 House Republicans and 47 Democrats, MIRS ranked Representative Reilly as having the third most conservative voting record of his colleagues, citing his vote on 50 pieces of legislation. Rep. Reilly voted against all tax and fee increases, all new occupational licensing restrictions, and all corporate welfare deals, while voting for cutting the state income tax and eliminating various outdated restrictions on businesses.